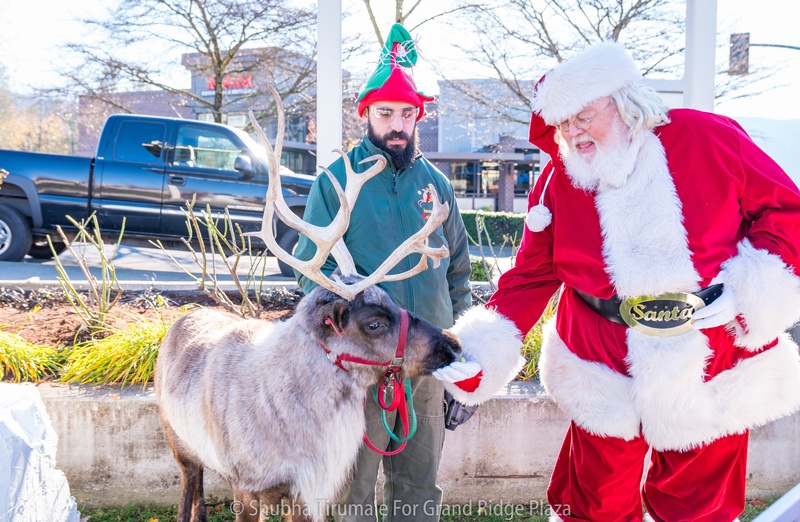 On Sunday, November 18th, members of the Issaquah, Washington community gathered at the Grand Ridge Plaza shopping center for a cheerful day spent with jolly Saint Nicholas. 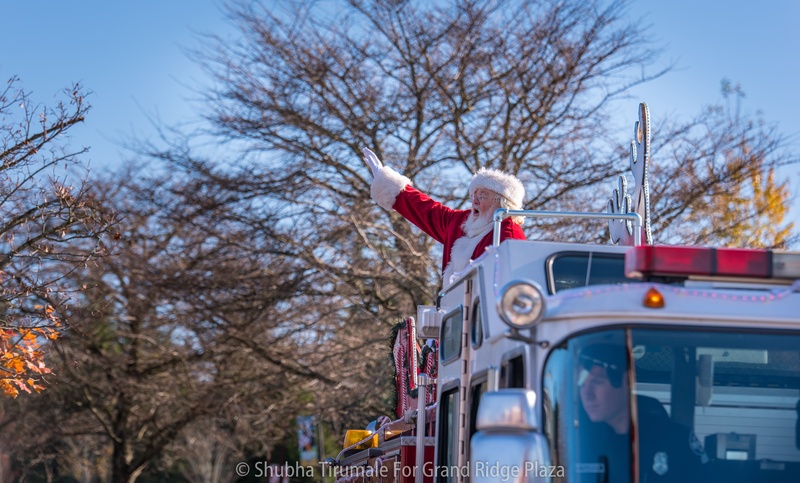 After musical and dance performances by the Liberty High School Choir and Revolution Dance Factory, Santa made his grand arrival aboard the Eastside Fire & Rescue holiday truck around noon for a day filled with photos and festivities. Santa’s Grand Arrival also included cupcakes, hot beverages and other holiday-inspired treats from Grand Ridge Plaza merchants, plus a guest appearance from Dasher — star of Cougar Mountain Zoo's Issaquah Reindeer Festival — who helped educate and inspire young guests about Rudolph and his cohorts. The event also marked the launch of the Issaquah Food and Clothing Bank holiday toy donation drive, and included an interactive activity where community members could pick a “wish tag” from a Christmas tree then donate the specified item for a local child in need this season. 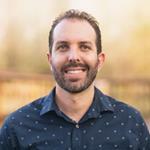 "Santa’s arrival and the Giving Tree Lighting have both become wonderful community traditions," said Bret Walton, Regency Centers Senior Regional Property Manager. 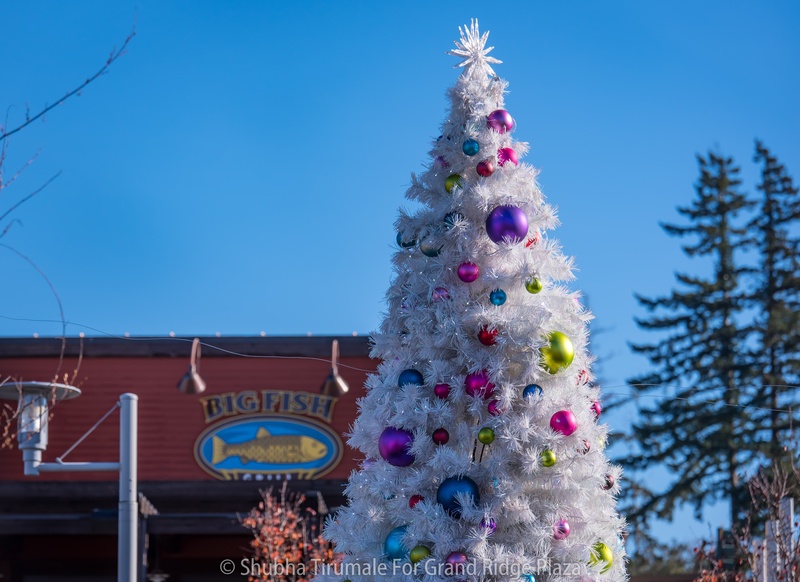 The community's participation at these events and their support of the Issaquah Food and Clothing Bank in conjunction with the Giving Tree highlights what a wonderful and generous community we are surrounded by. The successful Grand Ridge Plaza event was made possible with help from partners, Timberlake Church, Issaquah Food & Clothing Bank, and Regal Cinemas. Learn more about Grand Ridge Plaza holiday events here.